Mostafa A. El-Sayed (Arabic: مصطفى السيد) (born 8 May 1933) is an Egyptian-American chemical physicist, a leading nanoscience researcher, a member of the National Academy of Sciences and a US National Medal of Science laureate. He is also known for the spectroscopy rule named after him, the El-Sayed rule. He earned his B.Sc. from Ain Shams University Faculty of Science, Cairo in 1953. El-Sayed earned his doctoral degree from Florida State University working with Michael Kasha, the last student of the legendary G. N. Lewis . He spent time as a researcher at Harvard University, Yale University and the California Institute of Technology before joining the faculty of the University of California at Los Angeles in 1961. He is currently the Julius Brown Chair and Regents Professor of Chemistry and Biochemistry at the Georgia Institute of Technology. He heads the Laser Dynamics Lab there. El-Sayed is a former editor-in-chief of the Journal of Physical Chemistry (1980-2004). El-Sayed and his research group has contributed to many important areas of physical and materials chemistry research. El-Sayed's research interests include the use of steady-state and ultra fast laser spectroscopy to understand relaxation, transport and conversion of energy in molecules, in solids, in photosynthetic systems, semiconductor quantum dots and metal nanostructures. The El-Sayed group has also been involved in the development of new techniques such as magnetophoto selection, picosecond Raman spectroscopy and phosphorescence microwave double resonance spectroscopy. A major focus of his lab is currently on the optical and chemical properties of noble metal nanoparticles and their applications in nanocatalysis, nanophotonics and nanomedicine. His lab is known for the development of the gold nanorod technology. Professor El-Sayed has over 500 publications in refereed journals in the areas of spectroscopy, molecular dynamics and nanoscience. Prof. El-Sayed has supervised the research of over 70 PhD students, 35 postdoctoral fellows and 20 visiting professors, several of whom hold key positions in the scientific community. Mostafa El Sayed's son, Ayman El-Sayed, the Professor of Tumour Surgery at the University of California, took part in applying these outcomes on cancerous cells of some animals. 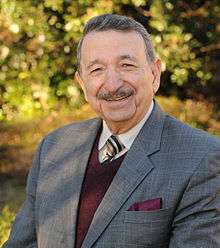 For his work in the area of applying laser spectroscopic techniques to study of properties and behavior on the nanoscale, El-Sayed was elected to the National Academy of Sciences in 1980, and in 2002, he won the Irving Langmuir Award in Chemical Physics. He has been the recipient of the 1990 King Faisal International Prize ("Arabian Nobel Prize") in Sciences, Georgia Tech's highest award, "The Class of 1943 Distinguished Professor", an honorary doctorate of philosophy from the Hebrew University, and several other awards including some from the different American Chemical Society local sections. He was a Sherman Fairchild Distinguished Scholar at the California Institute of Technology and an Alexander von Humboldt Senior U.S. Scientist Awardee. He served as editor-in-chief of the Journal of Physical Chemistry from 1980–2004 and has also served as the U.S. editor of the International Reviews in Physical Chemistry. He is a Fellow of the American Academy of Arts and Sciences, a member of the American Physical Society, the American Association for the Advancement of Science and the Third World Academy of Science. Mostafa El-Sayed was awarded the 2007 US National Medal of Science "for his seminal and creative contributions to our understanding of the electronic and optical properties of nanomaterials and to their applications in nanocatalysis and nanomedicine, for his humanitarian efforts of exchange among countries and for his role in developing the scientific leadership of tomorrow." Mostafa was also announced to be the recipient of the 2009 Ahmed Zewail prize in molecular sciences. In 2011, he was listed #17 in Thomson-Reuters listing of the Top Chemists of the Past Decade. On June 16, 2015, it was announced that Professor El-Sayed will receive the 2016 Priestley Medal, the American Chemical Society’s highest honor, for his decades-long contributions to chemistry. Intersystem Crossing (ISC) is a photophysical process involving an isoenergetic radiationless transition between two electronic states having different multiplicities. It often results in a vibrationally excited molecular entity in the lower electronic state, which then usually decays to its lowest molecular vibrational level. ISC is forbidden by rules of conservation of angular momentum. As a consequence, ISC generally occurs on very long time scales. However the El-Sayed’s rule states that the rate of intersystem crossing, e.g. from the lowest singlet state to the triplet manifold, is relatively large if the radiationless transition involves a change of molecular orbital type. For example, a (π,π*) singlet could transition to a (n,π*) triplet state, but not to a (π,π*) triplet state and vice versa. Formulated by Prof. Mostafa. A. El-Sayed in the 1960s, this rule found in most photochemistry textbooks is useful in understanding phosphorescence, vibrational relaxation, intersystem crossing, internal conversion and lifetimes of excited states in molecules. ↑ "El-Sayed rules". goldbook.iupac.org. Retrieved 20 February 2015. ↑ "El-Sayed, Mostafa A.". bibalex.org. Retrieved 20 February 2015. ↑ Jacoby, Mitch. "Mostafa El-Sayed Wins Priestley Medal | Chemical & Engineering News". cen.acs.org. Retrieved 2016-08-01. El-Sayed, M.A., Acc. Chem. Res. 1968,1,8. Biographical References: McMurray, Emily J. (ed. ), Notable Twientieth-Century Scientists, Gale Research, Inc.: New York, 1995.